One of the reasons to visit the American Museum of Natural History is taking part in the Art Safari that you get to enjoy on your way out of the subway! Every time we arrive on the C Train stop at 81st Street and Central Park West to enjoy another urban adventure at this fantastic Museum, we find a new tile mosaic that we’ve not seen before. 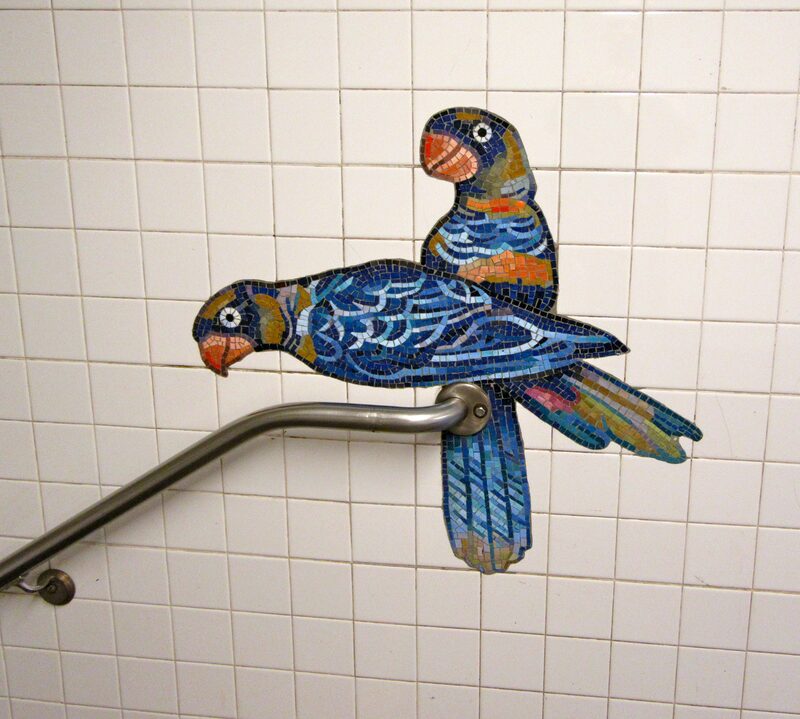 This pair of colorful parrots rest on the stairway handrail, exiting to the street.